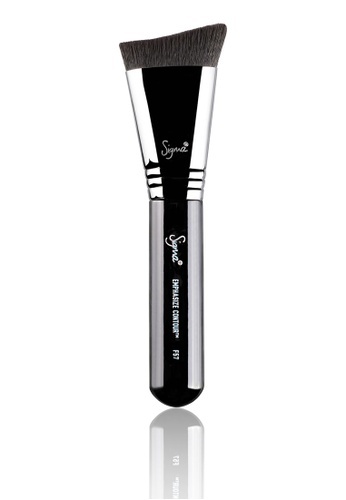 Here's the answer to one of your make-up worries: this magnificent brush is curved to fit under the cheekbone with SigmaÂ® trademarked fibres, which are uniquely cut for contouring. Apply cream and powder contouring products with precision just under the cheekbone for a chiseled contour. Can't find F57 - Emphasize Contour Brush in your size?